I'll repost to the new thread. Good work, HA, and some more cracking day time running. Emergency ‘pit’ stops can’t be quite as easy in the middle of London. Today’s strava route had a hint of the animal about it – perhaps a camel with fat legs? Nice fell running, NE. Unfortunately my work internet won’t let me see the photo. Amazing, Joe! And so impressive to speed up with 10k to go – great determination. I think it is really well deserved. You seem to have had a slightly up and down year, but you’re so definitely on an upward trajectory. Hope the beers were good! Great 10k, Tom. It can be very windy there, so impressive time and finish position. Solid work in the 5M, Jooligan. Pleased you escaped grunter. Ran my first track session since early August on Sunday morning. A Competitor Running facebook post I saw a few minutes before leaving inspired to do 2 x (600, 400, 300, 200) with 300 jog recoveries. Averaged about 1:20 or a bit faster, so really pleased with that. 11M total. This week I want to frontload the running a bit. I’m off on a stag do in Edinburgh at the weekend. Fly early Saturday morning, going old school and not booking any accommodation, fly back early Sunday morning – so no running opportunities (a shame as I’d love to head up Arthur’s Seat). 16M easy effort on the canal this morning with the head torch. HR marginally higher than expected, but perhaps this is due to yesterday’s track session. Next week is the beginning of my 12 week P&L plan leading into Wokingham half. No doubt a two day hangover to deal with before that. P&L 12 week 60-80M Half plan, Wokingham Half main target sub 80 minutes. Then freestyle with some BAC sessions for London marathon, sub 2:50 target. P&L 12 week - Mix of 2 plans (peaking at 50 ish miles) - Target Bath Half - Sub 84 mins. 1SteveMac - P&L 12 week - Mix of 2 plans (peaking at 50 ish miles) - Target Sub 84 mins. Nice one Reg. Good to see no sandbagging yet. I was going to make the same prediction for Joe. SQ - no pit stops today fortunately. There is something of an animal about it. Maybe a St Bernard. Nice track session and long run today. Sub 2:30 attempt again for me. Good work on the new thread HA, and the long run. Loved your weekend Jools, great 5m time. A couple of nights in S Wales for me at the weekend. Sadly I didn't get to run any of the Gower coast, a bad pint somewhere along the way put paid to that. Recovered by Sunday for a run in the Breacon Beacons, taking in Pen y Fan. For interest, I looked at a few Strava segments and who should be ahead of me on just about every one ? 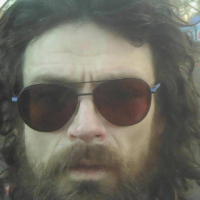 Jooligan ! Not sure on a spring target yet, I've Wendover Woods 50 this weekend and I'll see how I recover after that. Had a disappointing 3:07 at Chester marathon and am trying to pull myself out of a slump. Will try to be a bit less crap at posting now. Nice to see a shiny brand new thread-cheers HA. To answer your question from the old thread Reg yes I do have unfinished business with the marathon but when that happens, if at all, is open to debate. I'm entered in Wokingham and Bath halfs and Manchester and London marathons so have plenty of options as to what main targets are. Will be focused on preparation for Wokingham in the next few months but after that not sure yet. Legs very sore today-clearly they are not used to running fast at the moment! Ramjet is back! The new thread has started! VLM looks like it's going to be a cracker! Bad luck at Chester ramjet, what was the main reason for the disappointment? I'm hopefully going to be Very similar to you for London, provided I sort out travel soon. However like Reg I'll adapt some sessions, throw in some MP in the MLRs and also only follow the last 12 weeks of the 18 week plan - it seemed to work for me in Melbourne. I don't have the P and D book so I hope you don't mind me joining the thread for next year. I am going to be making it up as I go along really and probably changing my plans on an almost daily basis. I hope to average 50-70 miles with 3-4 hours riding as cross training as well as a couple of circuit sessions thrown in for good measure. (first marathon in 11 years, so I request an autumn marathon as a back up/second attempt). Always exciting when it comes time to start a new thread. Congratulations on the amazing performances from Joe and OO. Inspiring stuff. Great 10K from Tom, and 5M PB from Jooligan, too. I’ve seen a bit of progress with the higher HR, and had a really good track session on Saturday. A classic 6x800m with 400m recovery, and averaged 2:45 per rep, right on the recommended interval pace from the Daniels calculator. Definitely the fastest I’ve ever done that session. I then ignored my own advice about doing two long runs in a week and ran 18 miles along the canal on Sunday because I was in London yesterday so couldn’t do it then. 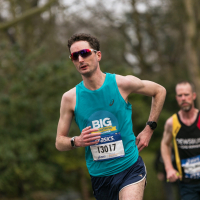 My plans for spring have changed slightly as I’ve been selected to be part of the “Big Marathon Challenge” that Men’s Running do every year (which is why I was in London yesterday). I basically get loads of free Asics kit and proper coaching from Full Potential Coaching. I also get a place at the Manchester Marathon so I am probably going to be targeting that, and then will run London “for fun” two weeks later assuming my legs are up to it. Always great to see a new thread! Full of hopes and dreams, where it seems that anything could be possible with a bit of hard work and dedication. Good luck everyone, looking forward to sharing the journey. I'm still absolutely buzzing after the weekend. I know I've had a history of slightly sandbagging in the past, but sessions and races in the last 2 months for me indicated I wasn't even in PB shape let alone sub 2:40. It's maybe left more questions than answers leading into next year. I'm intrigued to see how far I could go off the back of proper run training where I knocked out some high mileage. But I also want to see where the ceiling is triathlon wise, and I think ultimately next year is going to be one where I'm again chasing that Kona dream - I'm already signed up for Ironman UK in July (Bolton). With that in mind, I'll be doing London, but again unsure if I'll race it or it'll be another stupid fancy dress record attempt. If I do race it, it'll be off the back of triathlon training. So put me down for a target time of 2:59 if that's ok? Might see you on the start line in Manchester Spoons. Suspect you'll be well ahead of me by the finish-if I decide to do it! Boom, the two arch sandbaggers land together. Nothing short of a disgrace. Thank heavens for Spoons putting a proper target up. I played a football 5 a'side match last night, filling in for my old team, not played in two years. Oddly my back is pretty sore but legs are fine. My ankles are sore from kicking a ball that didn't have Peppa Pig on it. I reckon I was twice the age of the guys we were playing! Great to see a new thread! Can’t wait to get started training for London. Went for a 8 mile run along the river in Seville this morning - very beautiful. I was a bit hungover but nothing too drastic so it was pleasant enough. Off to the plaza now and then the game tonight. Will try and get out for another trot tomorrow morning. Sounds good Spoon. How did you get into that? Does that mean you'll have to wear some Asics rather than your Vaporflys? Nice target too. Sandbagging of the highest order. Some things never change. Reg - are you running TVXC on Sunday? I think I should make it this time. No TVXC for me HA, I am in Devon. I was wondering where I was going to run when I was down there and then I found a fell race series that has 4 different courses near the hotel. The races are in the summer but hopefully it's all public footpaths and I'll follow those. Shame as it's a new course at Lords Wandsworth, not been there since my schoolboy rugby days. Thanks John ;-) Not sure what happened at Chester. I just didn't have my best legs on the day. It was quite humid and the course is more hilly than Manchester but still... The only consolation was that I managed to do it one minute faster than last year. Very fast 800s RSR. And nice to see a bold target. With the mileage you do you deserve it. Give the DOMs a chance Reg! 6 mile run commute this morning in the rain. And it seems the cheap Bluetooth headphones I bought aren't waterproof. Sigh. Exciting news about the Asics competition, spoons. Bet the coaches haven't met too many 100M/week runners in similar circumstances. Sure you'll make huge progress. And as for Joe's sandbagging...! Congratulations on the selection Spoons. Be really interesting to see whether it makes a significant difference given how much progress you've made on your own. Spoons, is that similar to the old Runners World 26.2 thing that Asics used to run for the Paris marathon? Fastest marathon dressed as a sandbag? I'm off to do my research. Also, I thought you'd enjoy the snippet below from our clubs weekly running results post. It seems like they know me just as well as you lot do! 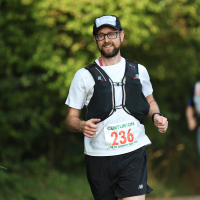 “Ooh, I don't really feel in shape”, “No chance of getting a PB – just going to enjoy it”, “I'm in pain as I still have buttocks chafing from the tight trunks I wore in April”. These were some of the pre-race excuses that came out of the mouth of The Sprag. But Le Sandbagger Extraordinaire only went and dipped under 2:40 - I'm not Joeking!